At Healing Waters Lodge we believe that we have more angling choices within easy driving distance than any other outfitters in Montana. 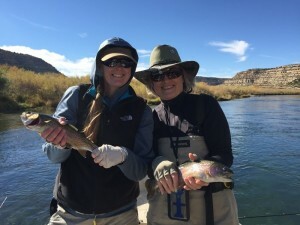 You can float the large rivers such as the Beaverhead, Big Hole, Jefferson, and Madison. You can walk wade on smaller meadow streams like the Ruby, the Upper Clark Fork, the South Boulder or Flint Creek which all flow through beautiful private ranches. You may also choose to test your skills against wily creek trout on local spring fed streams to which we have exclusive access.